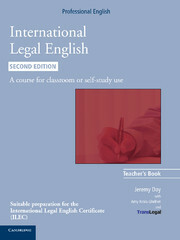 International Legal English Teacher's Book is an essential companion for any teacher wishing to use International Legal English Second edition in the classroom. The book offers invaluable background information about the law topics discussed, giving teachers the confidence to explore these topics with their students. 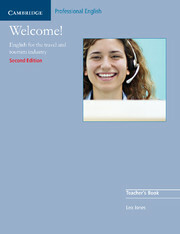 The Teacher's Book guides the teacher through the exercises in the book and suggests optional consolidation activities along the way. It includes over 50 extra photocopiable activities and adds a whole new communicative dimension to the course, with lots of ideas for discussion and role-plays.